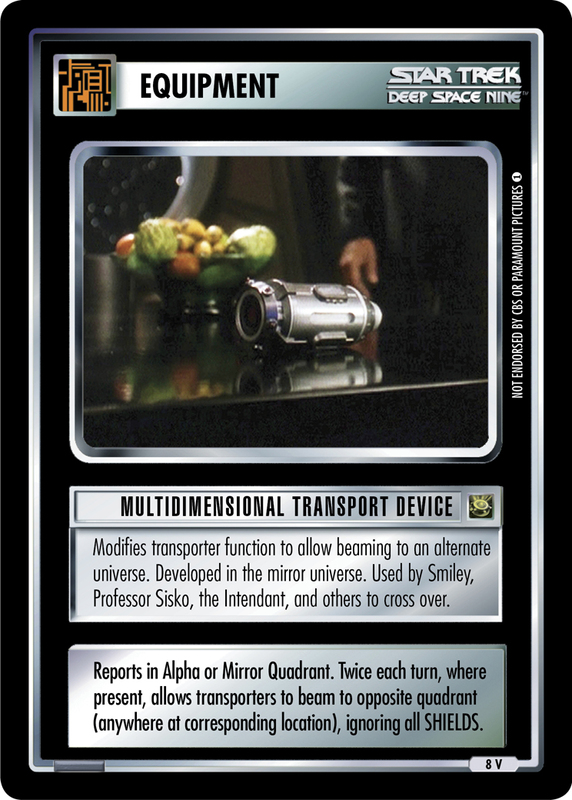 Modifies transporter function to allow beaming to an alternate universe. Developed in the mirror universe. Used by Smiley, Professor Sisko, the Intendant, and others to cross over. Reports in Alpha or Mirror Quadrant. Twice each turn, where present, allows transporters to beam to opposite quadrant (anywhere at corresponding location), ignoring all SHIELDS.